Madam C.J. Walker is the best known of the pioneering generation of beauty culture educators and manufacturers, and A’Lelia Bundles’ well researched book is the first biography of this industry mogul. 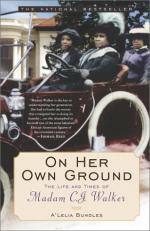 Bundles, who is Walker’s great-great granddaughter, takes the reader on a journey from Walker’s humble beginnings as the child of a Louisiana sharecropper to the end of her life when she died as one of the wealthiest black women of the early twentieth century. 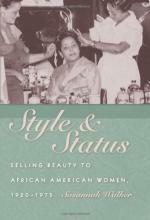 In addition, the book provides an in depth examination of the entrepreneurial challenges and triumphs of the early black beauty industry. 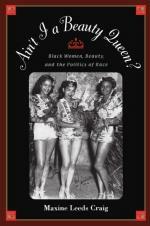 Examining black beauty contests, personal photographs, political posters, and conducting an impressive array of oral interviews, sociologist Maxine Leeds Craig examines the role that ideas about beauty played in racialized constructions of beauty. Her emphasis on representations of black women since World War II sheds light onto the ways that the modern Civil Rights and Black Power movements were concerned with articulations of political equality, which, for women, included discussions of beauty as political meaningful. 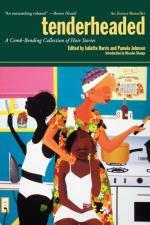 This collection of first-person narratives, photos, essays, letters, cartoons, poems, and short stories gives great insight into the complex meanings surrounding hair and beauty culture in the contemporary lives of African American women. Relying heavily upon print advertisements, periodical literature, and first hand accounts from black beauty culture’s practitioners, Susannah Walker examines the role beauty culture played in forming black women’s racial and gendered identities. Moving beyond a simplistic analysis of the “good hair/ bad hair” debate, that often represents the quest for beauty among African Americans as a mere mimicry of white beauty standards, Walker elucidates the complexities surrounding the business of black female appearance.